“You represent Chicago on the world stage, and you do us proud,” a message on the Chano4Mayor2k19 website reads. Chance the Rapper has been heavily involved in local politics recently, becoming a vocal advocate and benefactor for Chicago Public Schools amidst an ongoing funding crisis. As The Sun-Times points out, a group of local fans is looking to the Chicago rapper to assume more of an official leadership role in city politics. 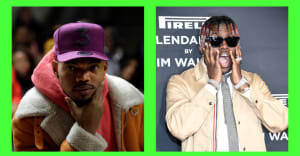 Fans have launched a new campaign entitled Chano4Mayor2k19, along with an accompany website and Twitter account, that aims to convince the Chicago rapper to run for mayor of the city in 2019, when Rahm Emmanuel is up for re-election. “Hey Chance, We think you’d be a great mayor.” the website reads. “You represent Chicago on the world stage, and you do us proud.” The creators of the site also point to Chance's community work, his Open Mike events for high school students, and his recent donations to CPS.